Having a keen interest in healing plant medicines and the yogic lifestyle, Tess naturally leaned toward the holistic science of Ayurveda early on. By incorporating these ways in her own life and in raising her daughter and seeing profound results, she took this as her path of service and life practice to share with others. Tess began her study in Ayurveda and Western Herbalism in 1998, and soon after, in Tibetan Medicine. With a traditional approach rooted in the classical Ayurvedic texts, Tess has spent many years training with traditional teachers in India and the US, including advanced studies in Ayurvedic theory and clinical practice with senior Vaidyas (Ayurvedic doctors) from Punarvasu Prabodhini in Pune, India. Tess has also worked as a main therapist for 4 years in a Pancha Karma retreat center, which gave her valuable experience treating her patients with focused attention and care. She is a skilled practitioner of external therapies and teaches Ayurvedic Body Therapies to existing students of Ayurveda. Within the modality of Tibetan Medicine, Tess completed a four-year study with the Sorig Institute under the guidance of her teacher Dr. Nida Chenagtsang and other accomplished Tibetan doctors. In Tibet, she joins yearly study programs incorporating clinical work treating patients in a remote regional hospital with Tibetan Medicine and external treatments. Since 2004, Tess has held a private practice in Nevada City, CA, founding the Gunanatha Clinic with her husband Eric Rosenbush, incorporating Ayurveda and Tibetan therapies, as well as organizing clinical events and teachings. She has assisted low-cost clinics providing traditional medicine to chronically afflicted patients. She is now working as a practitioner at the Samata Clinic in Northern Goa and also manages the Amrita Kitchen, serving healthy, nourishing food. Tess is an active member of the Dunagiri Foundation. This enables her to do what she loves- spending time working in Himalayan villages with farmers and high altitude plant medicines during the year when she is not in Goa or abroad. Prashanti’s clinical forte/specialty is his ability to use many of the ‘Vedic sciences,’ from Ayurveda to Vedic Astrology to Yoga to Vastu Shastra to Advaita, to analyze, diagnose, treat and empower his clients. This powerful ‘confluence of factors’ is comparable to having a session with ten different wellness guides all at once. After earning many degrees from the University of Michigan in the fields of Math, Engineering, Biophysics and Emergency Medicine, and studying numerous adjunct healing modalities in Ann Arbor, Prashanti moved to India in 1990 to study Advaita and the Vedic Sciences including Ayurveda, Vastu shastra, Yoga, Jyotish, etc. On his travels, he experienced the very good fortune of a decade of sitting at the feet of epic paragons like Sri H.W.L. Poonja, Annamalai Swami, Lakshman Swami, the Dalai Lama, Urgen Tulku, Jamgong Kontrul Rinpoche, Hart de Fouw, Kaviraj Vaidya Nanakchand Sharma, as well a dozens of eminent Yogis, Priests, Scientists and many truly empowered Grand Mothers. 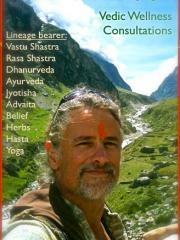 Traveling all over India training as a Yogi, Clinician and an Ethnopharmacologist, he settled in Lucknow, North India, where he started to treat hundreds of locals and foreigners that came to him with a vast number of health issues. To ensure high-quality formulas for his clients, he started an Ayurvedic herb company in 1993 in North India where he grew, wild-crafted and processed the herbs by hand. As the reputation for these herbs grew worldwide, a beautiful team/Vision called ‘Organic India’ emerged to serve the demand in a socially responsible and environmentally sustainable way. Besides being a Founder of Organic India, he also is a trustee on other projects like the Dunagiri Foundation Trust, instilling sustainable herbal wild-crafting amongst thousands of tribals in central India and also in the fragile ecosystems of the High Himalyas. He constantly is editing and writing articles for numerous magazines and his own books; he is teaching classes on herbs and Ayurvedic Medicine around the world from the Mayo Clinic to Children in local schools, and has created a full Ayurvedic clinic, an excellent Yoga-Ayurveda-Indological Library, an Apothecary, and Medicine making center in San Francisco as well as the ‘Kailash Vedic Guild’ in Prague. The Samata Goa Wellness team, including Eric, Tess, Brent, etc, is quite an incredible crew and Prashanti is very honored to add his skills and experience to this formidable collection of compassionate and accomplished adepts! 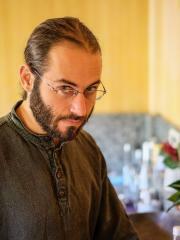 Brendt Reynolds, Acupuncturist & Traditional Chinese Medicine Practitioner. Brendt brings to Samata the culmination of over 13-years experience living, working, and studying in East-Asia.From his provenance on the east coast of Australia he has lived in China, Taiwan and Hong Kong. Each of these destinations, and the teachings he received there, informs his current practice of Traditional Chinese Medicine (TCM). At Samata he offers consultations for treatment with acupuncture, moxibustion, cupping, Tui Na massage and Chinese herbal medicine. Brendt’s passion for TCM was ignited in his early twenties during extensive travels in Asia. He came to learn of TCM through readings in Eastern philosophy and history, and the healing modalities they encompassed including acupuncture, Chinese herbal medicine, massage, Qi Gong, meditation and yoga. These early interests naturally segued into a deeper and more devoted focus for formal study. Now, more than twenty years later, Brendt’s practice of Vajrayana Buddhism, TCM and yoga ultimately informs how he approaches each interaction with his patients. Brendt is an accredited member of the Australian Acupuncture and Chinese Medicine Association, and a registered practitioner with the Chinese Medicine Board of Australia, having received his Bachelor of Health Science in Acupuncture in 2004 and his Master of Applied Science in Chinese Herbal Medicine in 2016. After graduating he continued his training with a hospital internship in Nanning, China, followed by advanced clinical and post-graduate studies in Taipei, Taiwan. In the clinic in Taipei Brendt was fortunate enough to be instructed on how to treat pain and other musculo-skeletal disorders by Dr. Ye – the official acupuncturist in the 1990’s to the Chinese Taipei Olympic Team. Brendt now comes to India after 7 years of clinical experience at a private integrated-medicine clinic in Hong Kong. There he treated a wide range of patients for both external pain disorders and internal medicine, and developed a special interest in anxiety and insomnia, thyroid disorders, gynaecological issues, sub-fertility, adrenal fatigue and other hormone insufficiencies. He has focused his study on the classical texts and languages of Tibet, India, and China and their living traditions of clinical practice. 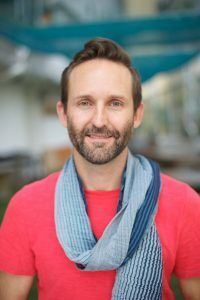 Eric studied Tibetan Medicine with Dr. Nida Chenagtsang and other Tibetan doctors in the US and Asia, and is the co-founder and educational director of the Sorig Institute of Tibetan Medicine in California. He is also a licensed acupuncturist, receiving a master’s degree in Chinese medicine from ACTCM in San Francisco with further studies and clinical training in classical Chinese herbal medicine and diagnostics. His studies in Indian sciences include advanced Ayurvedic textual and clinical training with Punarvasu Prabodhini in Pune, India, and Jyotisha (Vedic astro-sciences) with Pt. Sanjay Rath in India.